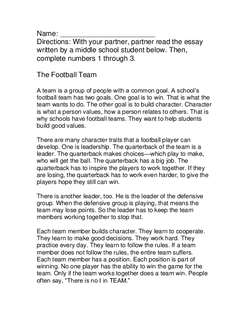 Explain to the students they will be reading and analyzing an essay about football written by a middle school student. 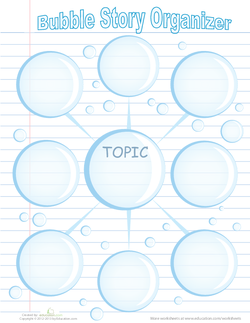 Show students a teacher model of the Bubble Story Organizer with the main idea and supporting details of a text, previously shared whole-class. 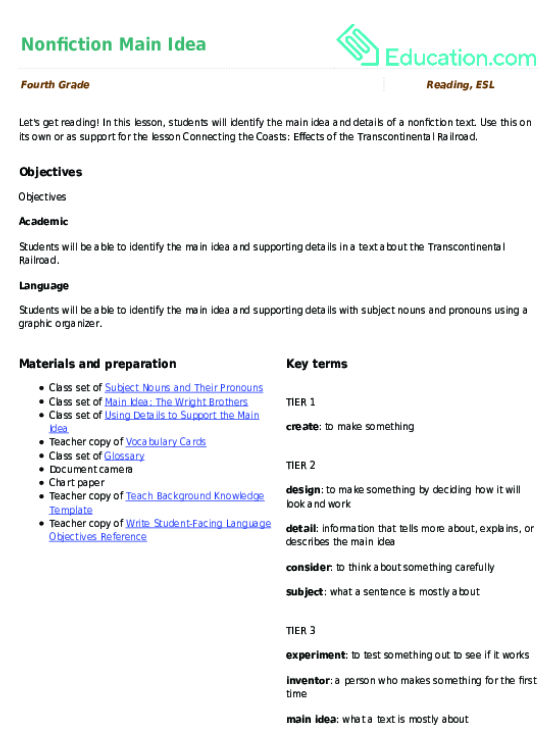 Point out how the noted details support the main idea and clarify any questions students may have. 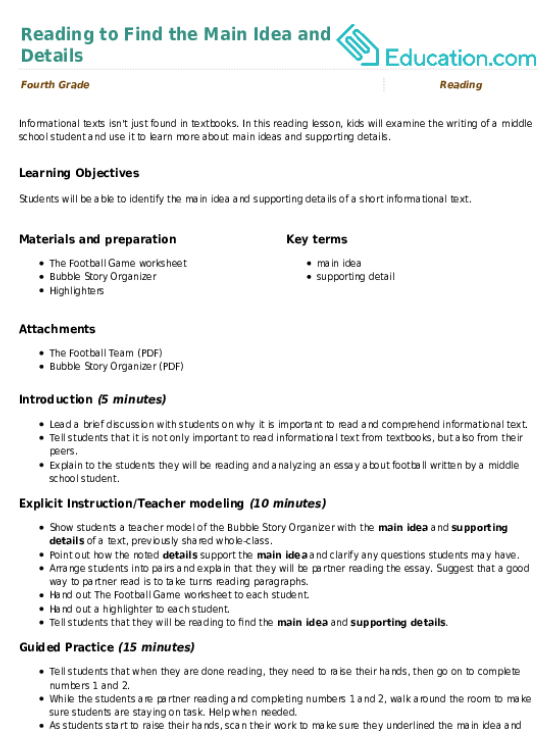 Tell students that they will be reading to find the main idea and supporting details. Enrichment: Challenge above level students to research an interesting subject and work on an essay outline for it between activities. 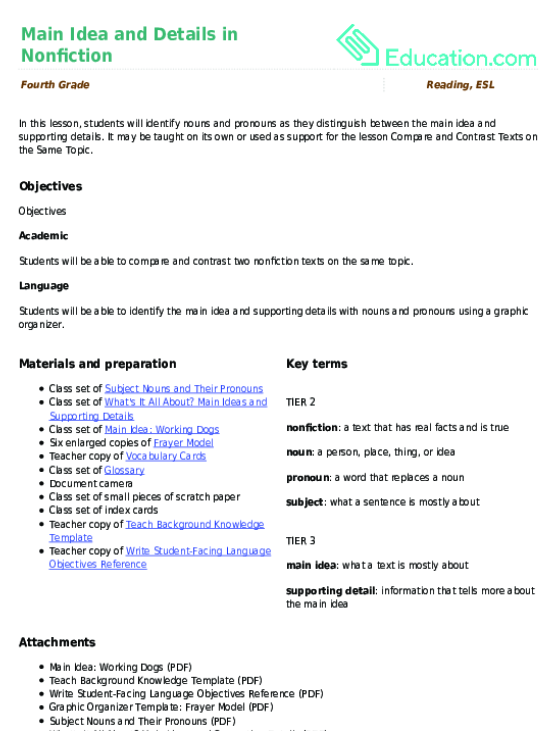 Support Pair a student who needs support with a student who understands the lesson content.